I’m actually very flexible when it comes to shooting style. But photojournalism plays a big influence in the way I take pictures. Freezing emotions has been my mission during weddings. I always observe. If I think there is enough drama going on, I would never interfere. I’m not really comfortable having my pictures taken. What do I do? I always make my bride feel comfortable with me around. During preps, I usually talk to the bride and this greatly makes her more relaxed. During pictorials, I‘ll never ever make you pose like the way a designer fixes her mannequins. Instead, I give suggestions. I like it when there are emotions flowing. The greatest advise I can give: Feel the moment! I’m a Canon baby. All my gears are digital. I rarely use flash. The only time I use flash is during reception, group pictorials and when its really dark. How much do you charge outside of Roxas City, Capiz? If your wedding is within Capiz, Iloilo, Aklan (includes Boracay), then there is no extra charge. If it’s anywhere else, there will be minimal hotel/transpo/Food expense charges. Kindly contact us re expense charges. I usually arrive 4 hours before the take off time to the ceremony, and leave when the party is over. About 10-12 Hours total. YES Please. You don’t actually have to serve us with gourmet food or invite us at the buffet, but we’ll certainly appreciate it if crew meals are served. And maybe some hot coffee if you have a morning wedding. How many are there in your crew? If it’s Photography only, there will be 3-4 persons. If it’s photo & video then there will be 5-6. If there’s going to be an onsite there will be total of 7-8 persons. When do you usually deliver? We usually deliver the photos in a USB or Dropbox folder in about 15-30 days. Album Layouts in about 60-90 days. Album Printing takes about 30days after layout approval. Final Edited Video takes about 6-12 Months or just in time your album is done. Who chooses the pictures that are to be included in the album? Does the client get any say what goes in the album? I usually do the initial choosing. Since I personally was at the wedding, I have first hand experience what transpired during the day. After the initial draft is done, we will be emailing you a soft copy of the album layout for your approval. Any changes is warmly accepted and revisions will be made as soon as possible. hi bordoy, will u be in one of the wedding expos in manila.if yes,can u tell which one. i love your work especially those shot in boracay. 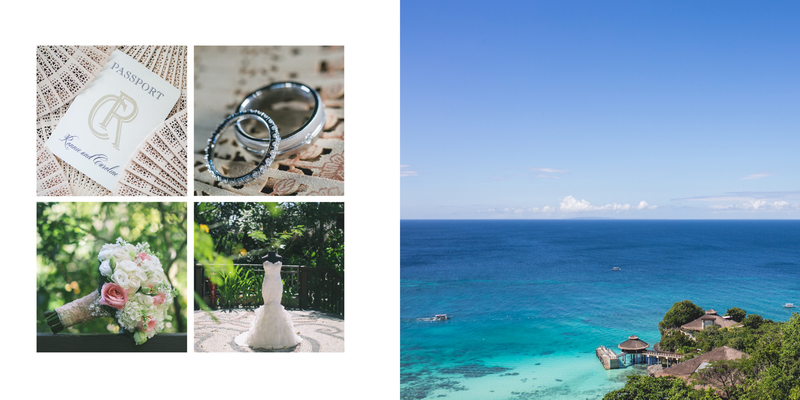 we will be tying the knot in seawind boracay on dec.11,2010.i am hoping we could sit and talk with you.aside from your office in roxas, are there any other options where we could make the bookings and sign the contract? thank you. Thanks a lot for doing a fantastic job on our wedding! We really love the onsite video you made for us! You’re very talented and creative. You’ve captured the vibe of wedding. We’re so glad and honored to have you and your team a part of our lifetime memories.